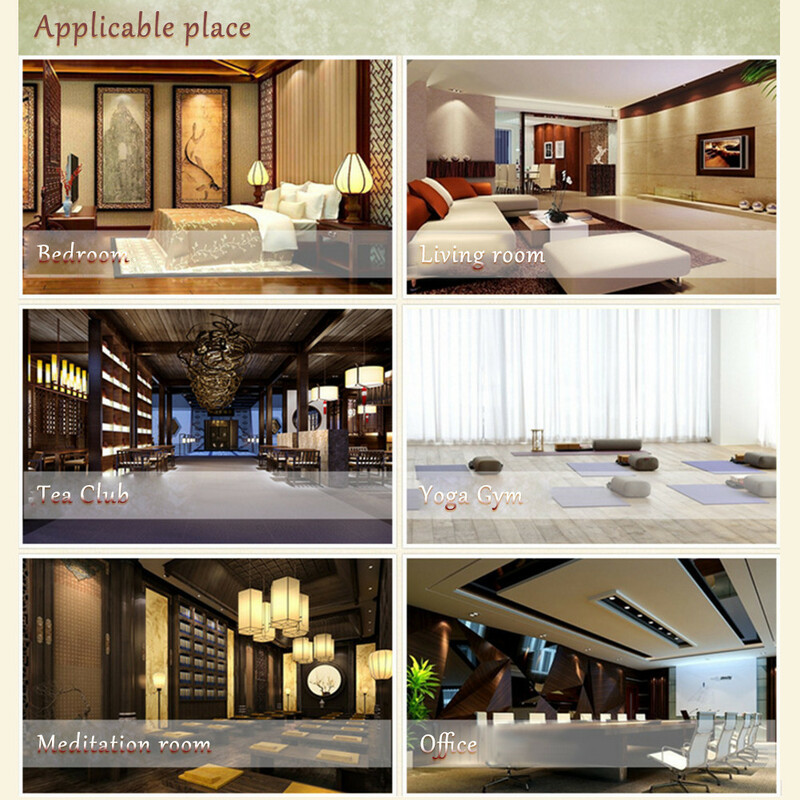 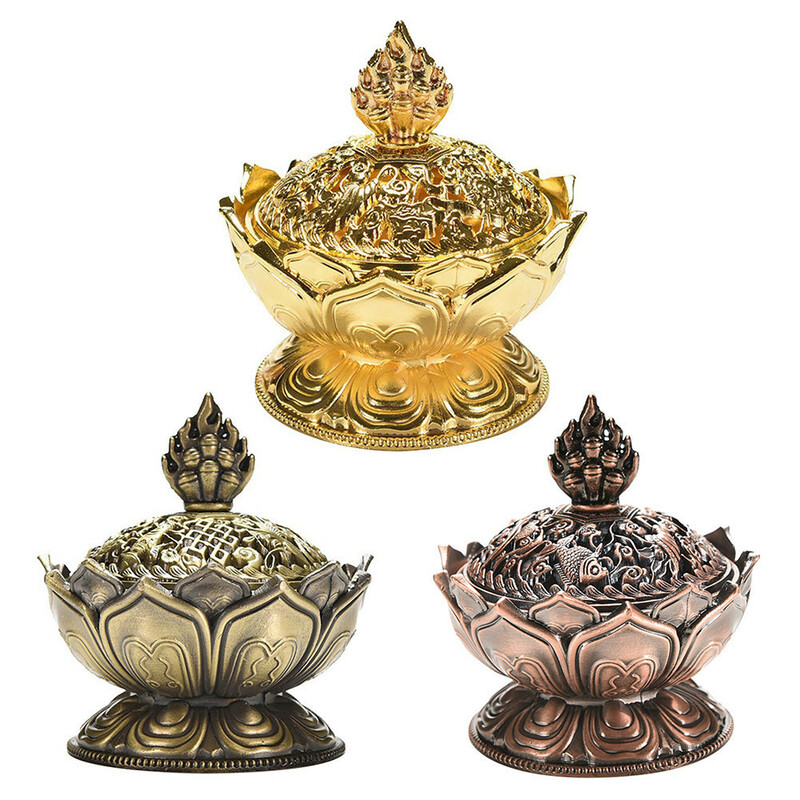 Lotus is a symbol of Buddhism, lotus represents self-purification, pollution-free and extraordinary refined ideal. 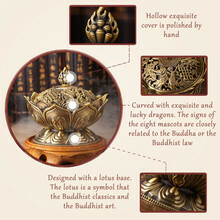 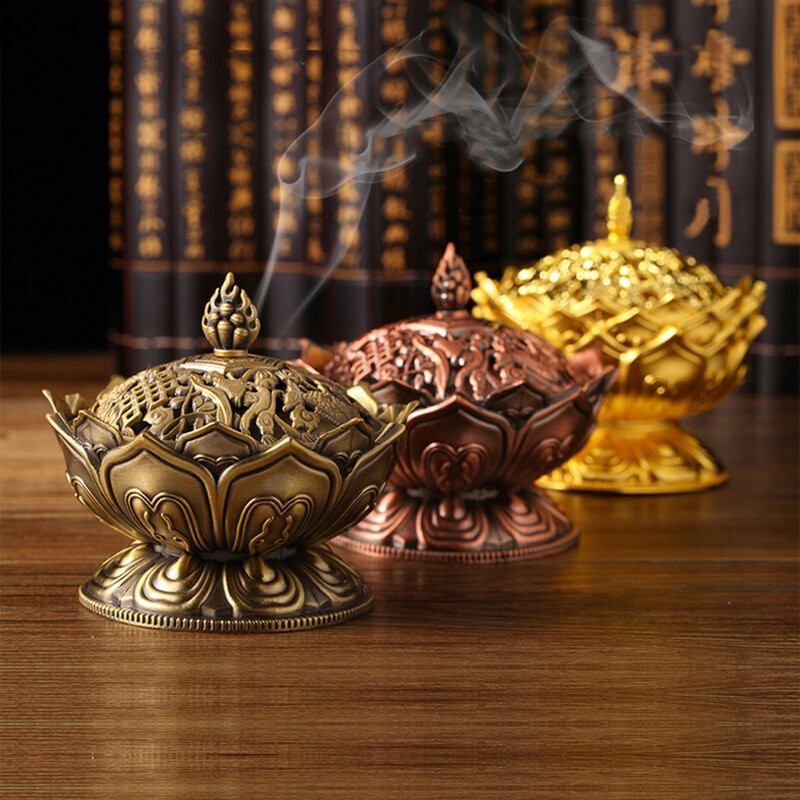 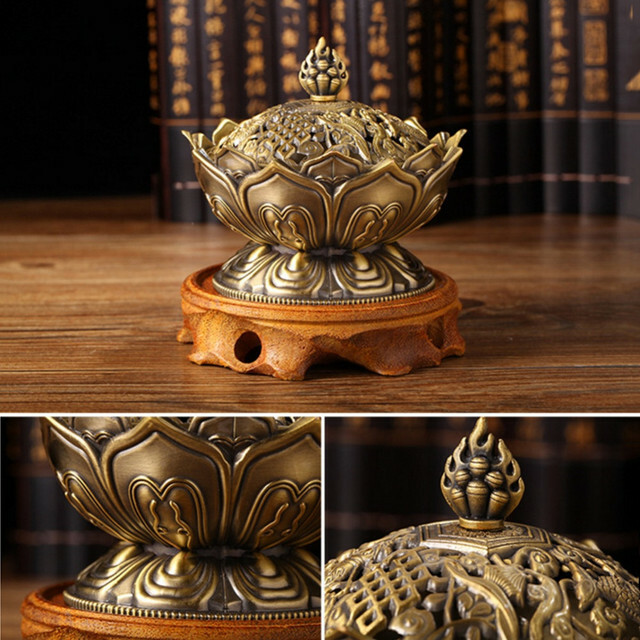 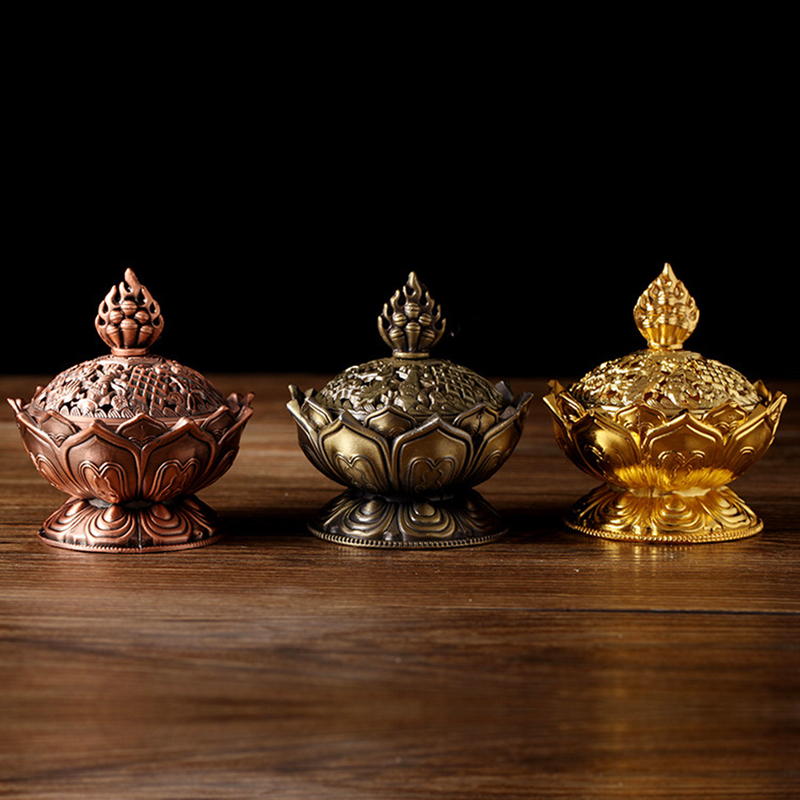 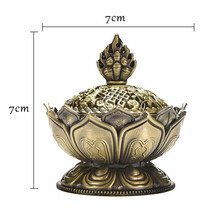 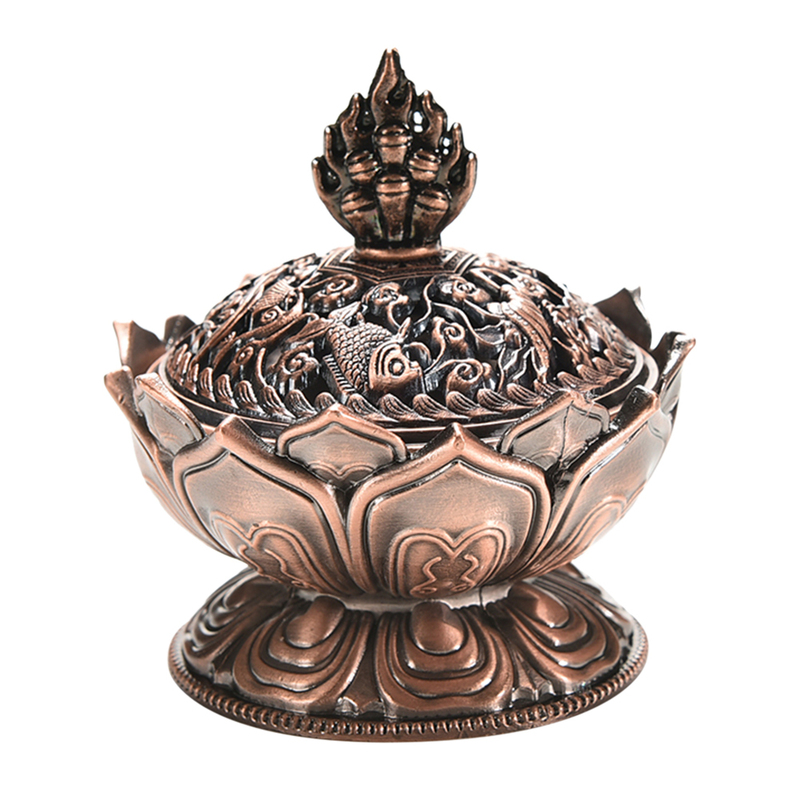 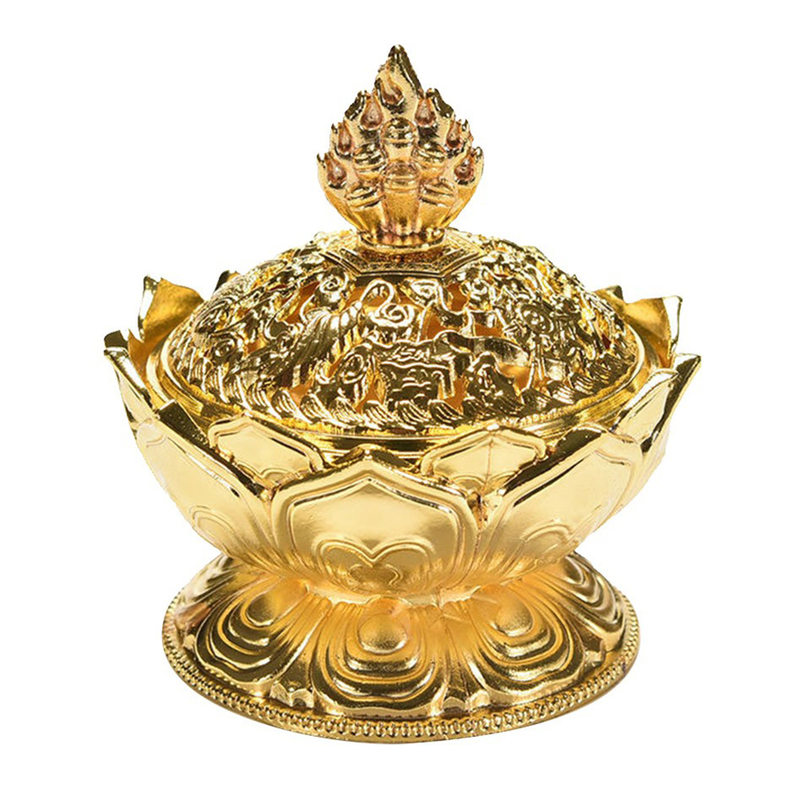 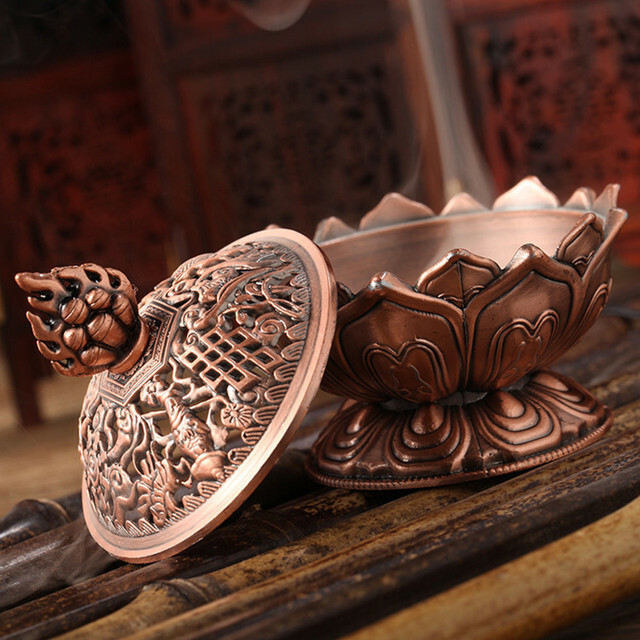 Lotus shaped incense burner is a exquisite craft in vintage and unique style, combined both ornamental and collection value. You can put some spices in the incense burner and light it up, the fragrance and smoke will rise from the hole on the lid, giving you unlimited reverie and bringing spiritual comfort.